After a patient has lost a tooth, the jawbone in the area naturally starts to shrink and change shape over time, eventually making the bone relatively weak and brittle. In the past, this disqualified many patients from getting dental implants, but now, thanks to mini dental implants in Forest Hills, that has all changed. 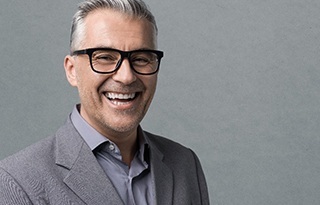 With this treatment, Dr. Robert Miller can give a patient missing multiple teeth a strong and reliable implant-retained denture that will fully restore their smile’s appearance and function for decades to come. As the name indicates, mini dental implants work in the same manner as regular ones, they are just smaller. They are tiny metal posts that are placed directly into the jawbone in order to restore the root structure of lost teeth. Mini implants are still the same length and are made of the same durable materials as traditional implants, enabling them to deliver the same proven results and longevity. They are primarily used to secure an implant-retained denture in order to fully restore normal jaw function and give a patient a confident smile. 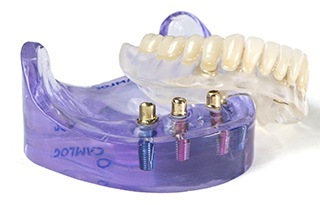 After the implants are firmly positioned within the jawbone, they are topped with caps that project from the gums which are custom-fitted to the denture to provide a strong and stable hold. When a denture is secured with mini implants, it practically feels like a natural part of the mouth. Compared to a traditional removable prosthetic, a patient is much less likely to experience slipping, sliding, popping, or clicking. Also, because the implants actually support the jawbone from within, this will help the denture maintain its initial fit for a very long time. 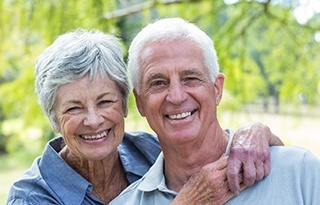 Implant-retained dentures also help restore more of a patient’s natural bite strength compared to traditional ones, allowing them to enjoy a more varied and healthy diet with relative ease. The placement procedure for mini implants is much less invasive than the traditional one, as in no cutting of the gums or surgical flaps are necessary. Because the surgery itself is so minimal, that means faster healing. Most patients are able to enjoy their favorite foods with a secure smile the very same day as their placement! With normal implants, a patient typically has to wait 3-6 months after the initial procedure before they can receive their new teeth. And, because of the simpler surgery, mini implants are also extremely cost-effective, helping patients literally save thousands compared to regular implants. Of course, Dr. Miller is a specialist at helping patients who are anxious or fearful about receiving dental care. If you are interested in getting mini implants but are apprehensive about the procedure, he can offer you IV sedation, a safe and effective method that will help you quickly relax in the chair as time flies by in a flash. If you’re sick and tired of dealing with your missing teeth or an unreliable and uncomfortable denture, mini implants can finally give you a set of teeth you’re able to trust. To learn more about mini implants and schedule a consultation with Dr. Miller, contact us today.